As Dr. Spencer Reid on CBS’ Criminal Minds, Matthew Gray Gubler spends his days tracking down serial killers and other monsters. But in his real life, the Las Vegas-born actor/director/author/painter likes to make people smile. Toward that goal, he created a monster known as Rumple Buttercup, who lives in a rain drain and has five crooked teeth, three strands of hair, green skin, and his left foot is slightly bigger than his right. But unlike the monsters Dr. Reid chases, Gubler’s monster is also sensitive, funny, creative, and thoughtful. 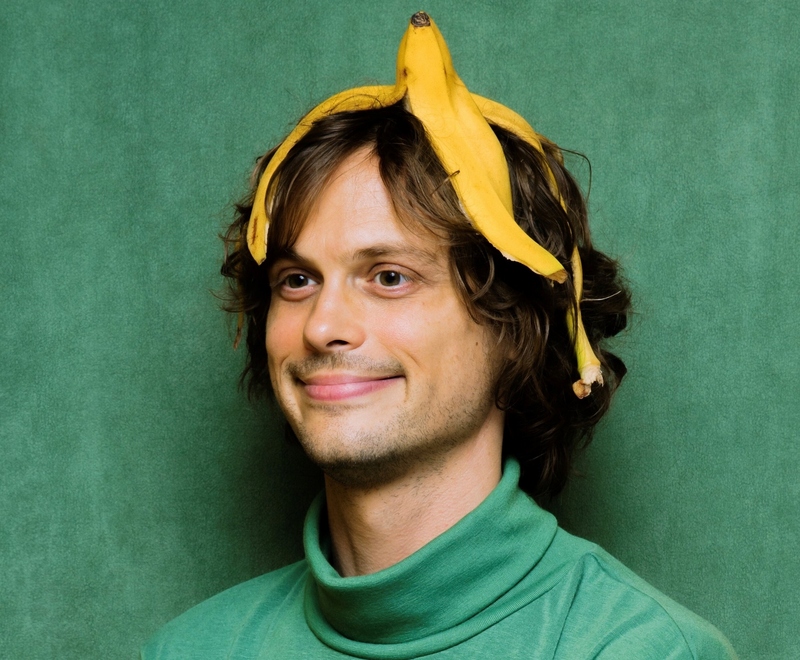 His story is told in Gubler’s first book, Rumple Buttercup: A story of Bananas, Belonging and Being Yourself, a story for people of all ages that was just released by Random House Children’s Books. It is Gubler’s contention that we are all different. He says he knew he was different at an early age because the things he enjoyed doing were wildly different than other kids. For example, he was really into doing magic tricks and he used to wear a fedora from ages 7 to 17. Is it a book that’s aimed at children or is it for children of all ages? Do you remember when you were under 10, you didn’t really worry about stuff, you had fun, and then it feels like that goes away until you’re like 90. It’s almost as if when you’re closer to not existing on either end of the spectrum, you’re a little more open to just smiling, and that’s my hope in everything that I make, is to create a smile. You didn’t just write this, the illustrations are yours, too. Yeah. I hand wrote every single word, every single illustration, including the bar code and the lengthy copyright page. There’s not a single thing in this entire book that was computerized, including the Random House logo, which I hand drew. I noticed that you make T-shirts from some of your drawings, so will you also be making merchandise for Rumple? Whenever I can find a cool charity to support, I always try to do some fun T-shirt or something. I would love to make some Rumple Buttercup dolls, and stuffed animals and, hopefully, all sorts of things. I love this guy, he’s like my best friend, and I’m just so excited that the world gets to meet him now. So, what was it like putting on the Rumple costume this morning for your publicity appearance? It was its maiden voyage. It’s been a long process of designing it and getting it to full fruition, and I couldn’t be happier with how it turned out. It really is funny. I like to see the people’s faces when they see it. It’s funny, New Yorkers actually look at you less when you’re wearing a 7-foot-tall monster costume. You filmed the 15th and final season of Criminal Minds right after the last season, have you finished the final 10 or are you still working on that? We are in the last four ever of the show. The last 10 episodes have, honestly, been the strongest episodes of our entire series. I’m just so excited for people to get to see them. How hard it is going to be to say goodbye? We haven’t said it, but we’re starting to get the feeling of what it’s going to be like. I’m starting to realize like, “Whoa, this might be the last time my character says four pages of factual information in a quick manner.” I’m like, “Oh, my gosh. These are things that I’ve done for a decade and a half, and that might be the last time.” You know, its bittersweet. It’s a little bit like going to like your grandfather’s 110th year on earth, and he passes away, and you’re going to his funeral, and you’re like, “Oh, he was 110 and he had a great life.” We’re sad, of course, to see it go, but at the same time, I feel like we all really gave it our best, and we, hopefully, told some stories that made the world a little happier. Jane Lynch is coming back as your mom for the final time. Her character’s mind is in and out all the time, so will she at least recognize him for this last final time? I don’t want to give too much away, but it is definitely happy. Reid has been through a Greek-level of tragedy. It’s fair to say that he rivals even the greats like Ophelia and Oedipus, so I see a happy ending in store for Reid, which is something that we’re all looking forward to, including with his mom. The season 14 finale had a shocker when J.J. (A.J. Cook) told Reid that she loved him. What’s the follow up on that in the final season? I know, there’s some exciting stuff. All the drama Reid and J.J. have been through together, it will eventually just make their bond stronger. I thought she was happily married, so that was such a bombshell. I know, I love that finale. Let me ask you this, what was your perception at the end of the show? Reid asks her if she’s lying and she gives a look, do you think she was lying or was she telling the truth that she loved Reid? Awe. Thank you. That makes me so happy. That’s what I hoped. I think it’s 50-50, I think some people think it was a lie. I don’t think that’s a lie she would have come up with if the thought wasn’t there. I like your style. I’m with you, and I hope you’re right. I hope A.J. Cook feels the same. That was my second. I’m the Grim Reaper of Criminal Minds. I also did the last episode that Hotch (Thomas Gibson) was in. I did his farewell. So, are you going to do the farewell episode…? Oh, that’s so sweet of you to ask. I would have loved that, but because it was a real weird way that the network told us about the show going…not weird, but it was a surprise to us, so the directing slots had all been filled, so my swan song was “The Tall Man,” which aired season 14 on Halloween. You didn’t start in the business to become an actor, you came into the business to be a director, is that going to be your focus going forward or will you continue to act? Thanks for knowing that, that is true. With everything I’ve done in every way, I’ve always tried to not necessarily give myself a limit or a trajectory, which is how I was fortunate enough to end up on this TV show. So, I think for the future, while directing is still one of my biggest passions, everything is my passion, so I would love to continue acting. I’m going to have a lot more time to be able to finally direct a feature. I just wrote another book that I’m really excited about. I’d love to do more comedy and basically explore everything new that I hadn’t the free time to do. What is your new book? It’s another book for people that are young at heart. It’s very similar to Rumple. It’s a 140-page handwritten story with pictures that I’m really excited about. Rumple Buttercup is now available wherever books are sold. Criminal Minds will return to CBS this fall for its 15th and final season. Appearing on Fox’s “Sunday Morning Futures,” Nunes said five of the referrals are related to lying to Congress, misleading Congress and leaking classified information. “We couldn’t really send these criminal referrals over without an Attorney General in place, so we are prepared this week to notify the Attorney General that we are prepared to send those referrals over and brief him if he wishes to be briefed. We think they’re pretty clear, but as of right now this is, this may not be all of them, but this cleans up quite a bit. We have eight referrals that we are prepared to send over to the Attorney General this week,” Nunes said. Criminal referrals from Congress to the Justice Department are effectively requests for a criminal investigation from the Justice Department and the FBI. 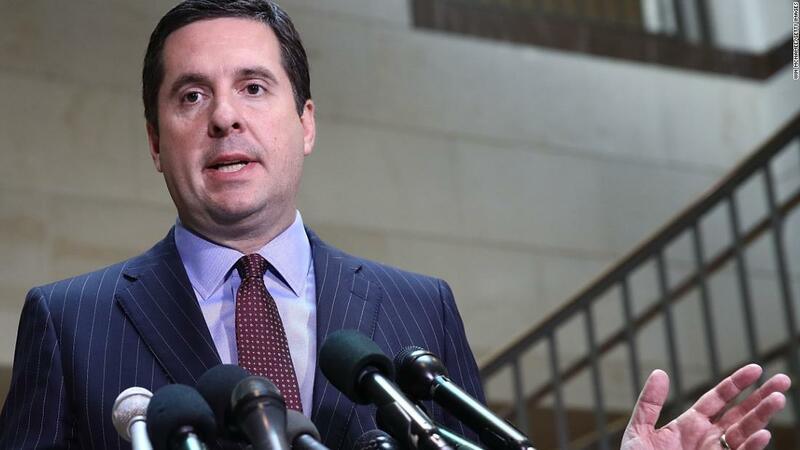 When Republicans controlled Congress, Nunes launched a committee investigation into allegations the FBI and Justice Department abused the FISA process, including the release of a classified memo detailing his accusations. The referrals are the latest action Nunes has taken since losing his gavel — and the subpoena power that comes with it — in the new Congress. Nunes last month sued Twitter and several parody accounts, including @devincow, accusing the social media site of censoring conservatives.